Triad Gospel is a group made up of Godswill Sylvester, Emmanuel Ekoon, and Nyaknnoabasi Eakin (all Akwa Ibomites); classmates who have been writing songs, and singing together since their high school days. They are known for their unique style of music, which cuts across RnB, pop, afro-pop, and rap. “Anam Akpaniko” was their debut single in 2013. They have many unreleased songs which will be released gradually in the coming months. 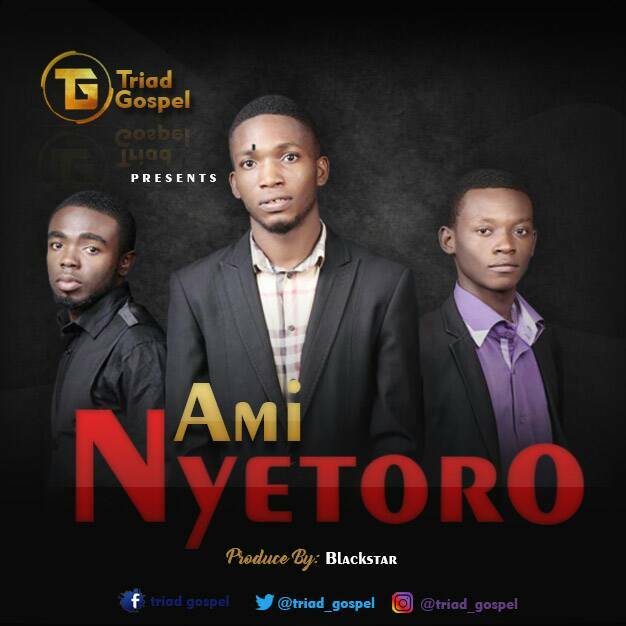 “Ami Nyetoro” is an Efik song which means “I will praise”, and it’s a covenant song to always praise God as long as we live. Personalize it, and be blessed.